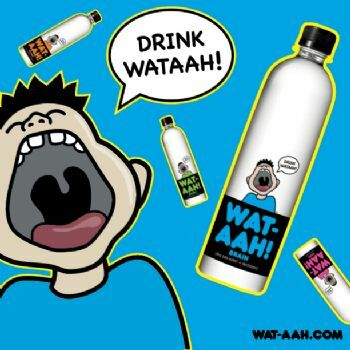 Supplier Finder » Beverage Companies: USA » WAT-AAH! WAT-AAH! is a line of functional water designed for kids and teens. It is free of sugar or sweeteners of any kind and tastes like pure and unadulterated water. Since 2008, its mission is to convince kids that drinking water is as fun and cool as drinking sodas, energy drinks and sugary juices. Some of WAT-AAH!’s major partnerships have included Nick Cannon and his Celebrity High Magazine, Willow Smith, Beyonce Knowles for the nationwide Move Your Body Flash Workout Event, and NFL players Marques Colston and Pat Peterson. All of these collaborations have focused on promoting healthy lifestyles and the fight against childhood obesity. WAT-AAH! is available in over 9,500 retail locations and mass supermarket chains as well as 2,500 schools/school districts nationwide.